I have never been to Bali prior to the (not so) recent team trip. Surprisingly , the man never quite considered it as a holiday destination despite it being very popular with everyone here. I on the other hand, have been wanting to visit the beaches, and soak in the sun and visit the Safari etc. . This trip was great at that it allowed me to do some "market research" and submit a business case to the boss. There's just so many different beaches to explore. 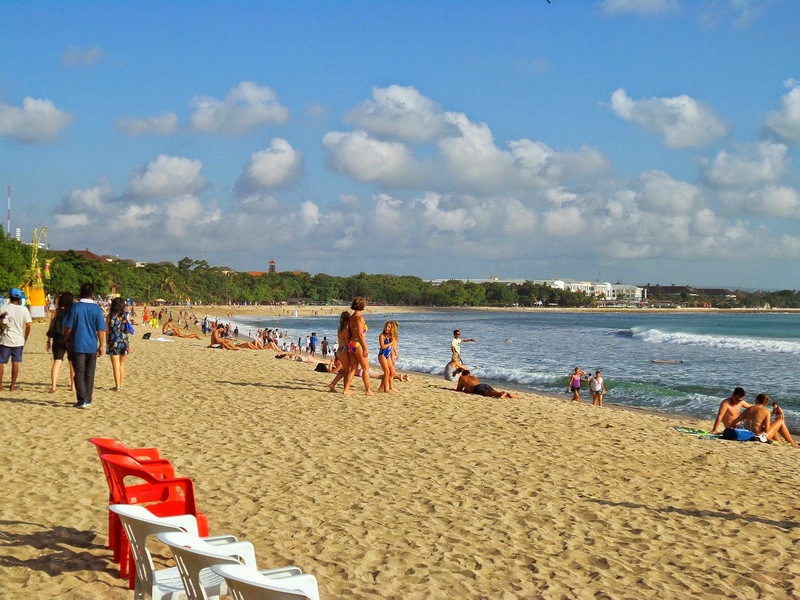 Starting from Kuta, where it's where the action never ends part of Bali, to Seminyak where private beaches line the shore, to Nusa Dua, where waters are calmer to every other beaches that come in between. If you love the sun, sand and sea, just like me, you can never can get tired of Bali. You probably will not be able to fully experience everyone single beach in just one trip. 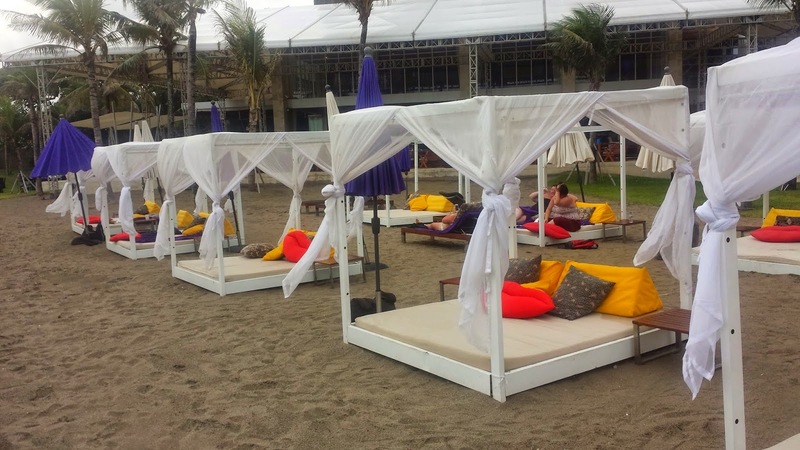 The private beaches of Seminyak. 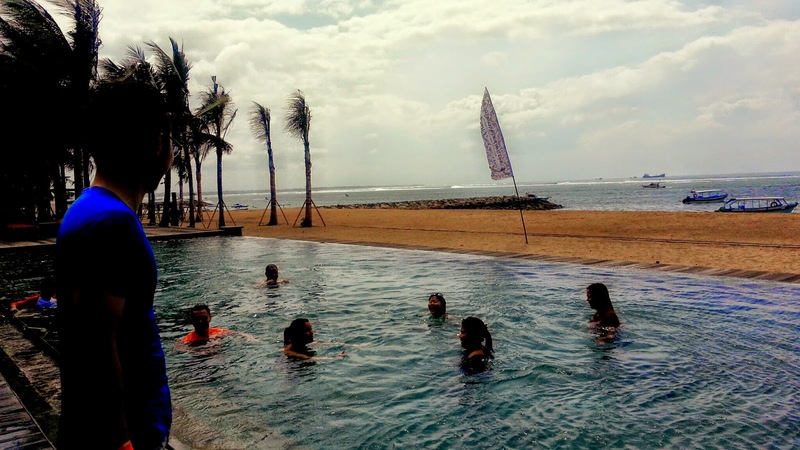 The peace and calm of Nusa Dua. Dozes of vitamin D without getting wet. 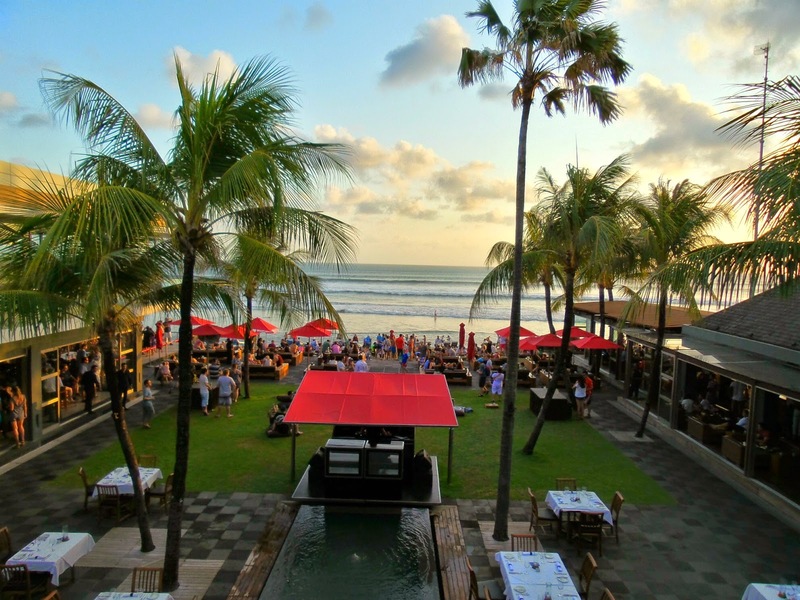 Bali is home to the famous Ku De Ta, Potato Head and a pretty cool find, WooBar @ W Resort. I can just "lepak" on these daybeds the whole day, recipe for a perfectly relaxing holiday. There are so many to choose from. Just don't go into those stuffy and overcrowded ones. If being massaged on the beach, to the sound of the roaring waves are your type of thing... masseuses are not hard to find on Kuta Beach. The boutiques that line the streets especially in Seminyak was so so inviting. Everything looked so pretty in the display windows. Many of these boutiques are run by local designers which means that they carry apparel that's bespoke, and not found in our little city island. 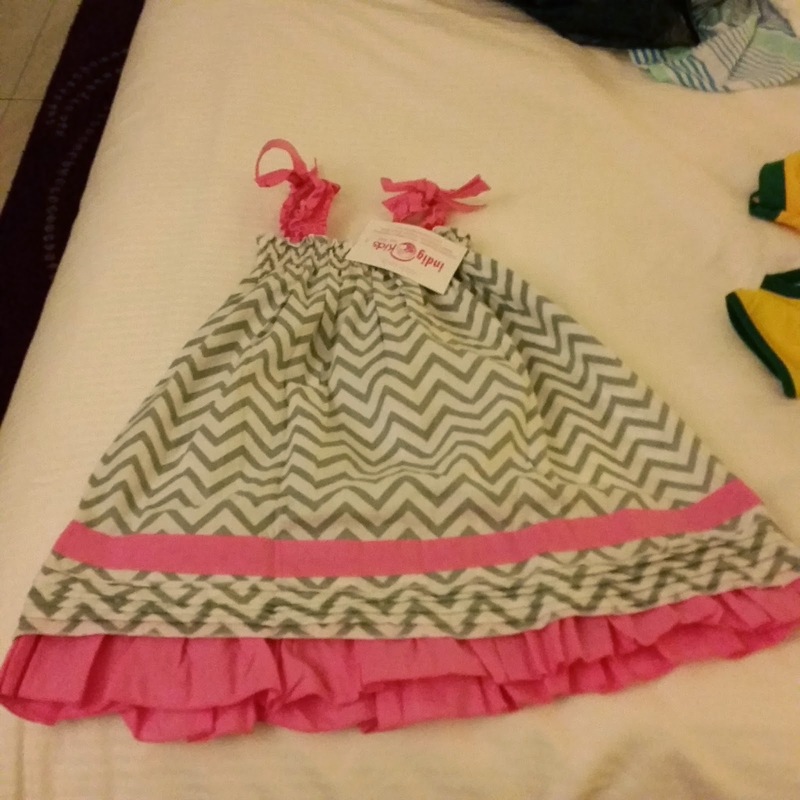 The shopping is not limited to adults stuff. They have really cool kiddy ones too! 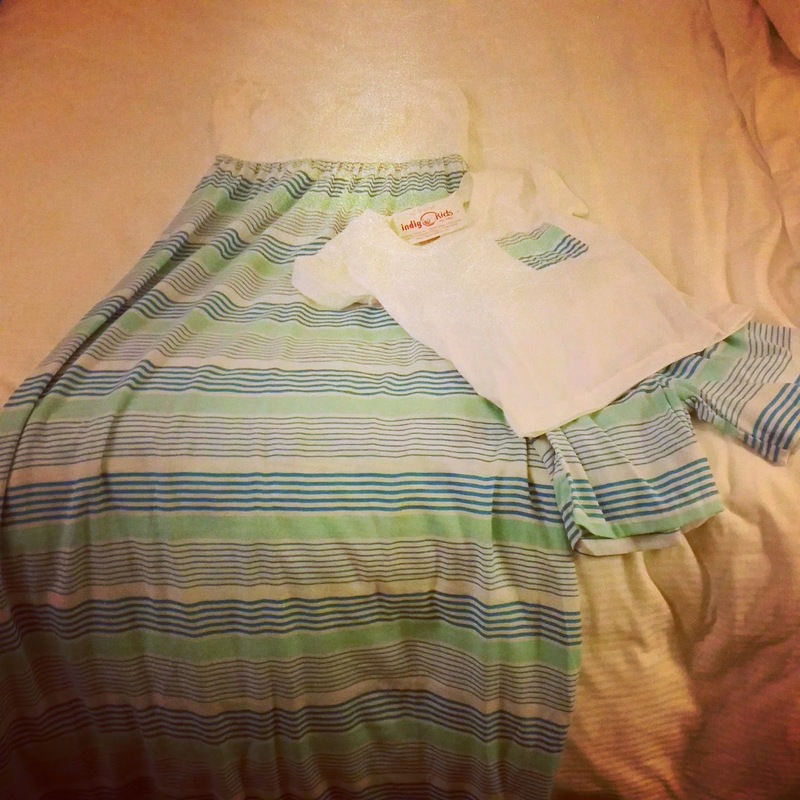 Shopping's the one thing I regretted not leaving enough time for during the trip. More reasons to return maybe ? The new Bali International airport was just opened, love that there's a priority queue for people holding passports of Asean Countries, which means quicker immigration clearence. The departure area also has lots to shop. Good range of cosmetics and other international brands to choose from, all tax free. This airport has so much more amenities than some of the other city airports in the other parts of the world. For those who know me pretty well, my Havainas is worn everywhere outside of work. It is an essential in my weekend outfits. 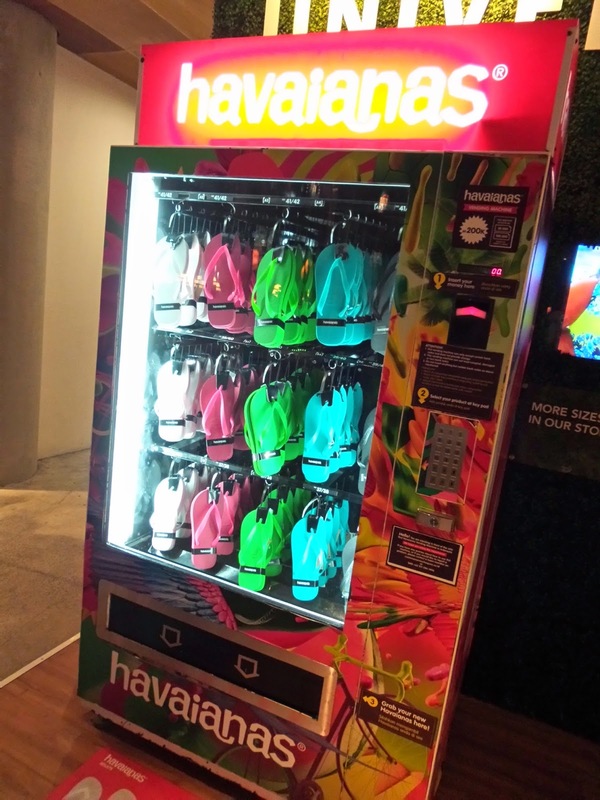 I always welcome more Havaianas in my life, even better if it comes from a vending machine. Convenience at its best! Only 2 plus hours from Singapore. I really cannot find any other excuse not to have this on our to go list. So near, yet never really been there on a holiday. There shouldn't be any more excuses not to visit Bali again soon, I suppose. Of course, there were also things I didn't like about Bali. Mainly the crazy traffic. 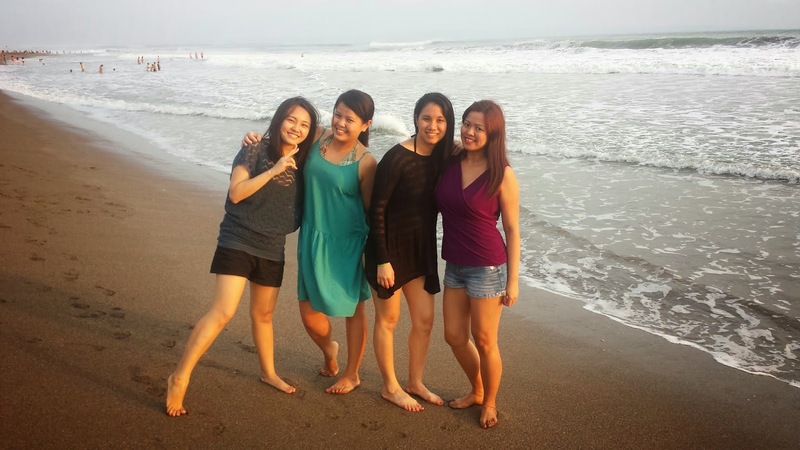 It is total madness to travel from Kuta to Seminyak, where a 20 minute car ride can take up to more than an hour. Serious work on their infrastructure is needed to welcome the increasing number of tourists! The other thing that irked me was the rather crude and irritating men lining the streets at Kuta. No...not that they tried to do anything funny, but the way they tried to chat up was just distasteful! Oh well, I guess anywhere we go, there will be things that attract us and some things that are best kept at the back of our memory. Have you been to Bali before? Why not share with us what makes you love the place.